When faced with the expenses associated with a funeral service, many people may not be aware of the financial benefits available to eligible survivors to offset some of the expenses incurred. The following is not an exhaustive list but are considered to be the most common financial assistance available. It should be noted however that each benefit may vary depending on the state and county in which you reside. If the deceased has worked and paid social security taxes, certain survivors may be eligible for a lump sum death payment. Up to ten years of work is needed to be eligible for benefits. Beneficiaries can include the spouse, children, or parents of the deceased. If the surviving spouse is living at the time of death, they are eligible for this benefit. The benefits are based on the deceased earning record for the month of death. A lump sum of $255 will be given to the spouse or if no spouse exists, to the dependent child. In order to apply for this benefit, you need to contact the Social Security office at 1-800-772-1213 or go to their website at www.ssa.gov for more information or online filing. For individuals who die without an estate or financial resources, the cost of services are generally taken care of by the county of social services. Although funding provided may differ per individual, funeral services provided usually include the funeral director’s professional services, use of facility and equipment, legal filings, transportation of the remains, provision of cloth covered casket, clothing, grave with opening, cremation services, funeral notice, and clergy honorarium. The Armed Forces will pay all funeral costs and benefits for those who were killed in the line of duty. Further, an insurance policy ranging from $125,000-$250,000 may also be paid out to the beneficiary. An immediate $6,000 is provided to assist with the initial expenses. Children or the dependent of the deceased will also receive education benefits and a monthly check along with the spouse. If death occurs at a job site as a result of an accident, the Worker’s Compensation Commission will pay a death expense towards funeral expenses. 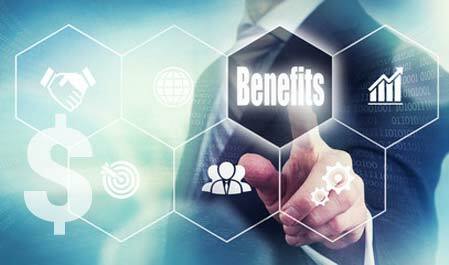 The maximum benefits do vary from state to state and a few states such as Louisiana, New Mexico and Rhode Island are not applicable for this benefit. Benefits range from $2,000-$10,000 with one state and a few paying all the expenses. Some provide the headstone and body transportation. Members of certain organizations such as the volunteer fire department, emergency medical, and rescue service may receive additional funds. It is best to check with your state’s Workman’s Compensation organization for what benefits apply in your geographic area. Some states provide benefits for deaths related to criminal activity and may pay up to $2,500 towards funeral expenses. If the deceased was a member of a union through his employment, there may be benefits available from the union or employer. This is the most common benefit known to most people. The funeral director may assist in the claim forms and other types of documentation required by the insurance company. Some insurance companies may only require a certified copy of the Death Certificate to process the claim. Some fraternal organizations may provide benefits. If your loved one was part of an organization such as this, you may have benefits. Most families are not aware this one exists, so check and ask the specific organization the deceased belonged to. Airfare for the bereaved on a domestic and international level are available. Check with your preferred airline to see what benefits you have. In the event one must travel unexpectedly to another location for funeral arrangements due to a death, airlines may provide a free or discounted rate to the surviving family members.